Dr. Dean J. Cerf recently presented a surgical technique that he developed to treat malignant urinary bladder tumors in dogs to the American College of Veterinary Internal Medicine. The ACVIM is the Official Organization of the Veterinary Specialties of Small Animal Internal Medicine, Large Animal Medicine, Neurology, and Oncology. It is considered one of the most prestigious veterinary groups in the world and Dr. Cerf said that it is a privilege to have been selected to present his surgical technique to this esteemed group. Dr. Cerf conceived of the laser surgical technique when one of his patients, a wonderful dog named Shelby, developed a very malignant bladder cancer called transitional cell carcinoma. Dr. Cerf had cared for Shelby since she was a puppy, and he could not accept the veterinary literature that gives such patients an average of 80-120 days to live with no viable way to extend their life much beyond this. The tumor was causing Shelby a great deal of difficulty urinating and often resulted in blood in the urine. Chemotherapy might have extended Shelby's survival time to 260 days. Unable to accept this prognosis for Shelby, Dr. Cerf said he conceived of a plan to use a very small endoscope to enter the urinary bladder, passed a diode laser into the bladder guided by ultrasound (sonogram) and vaporized the tumor. Within a few hours Shelby was awake and urinating normally with no incision and no pain. 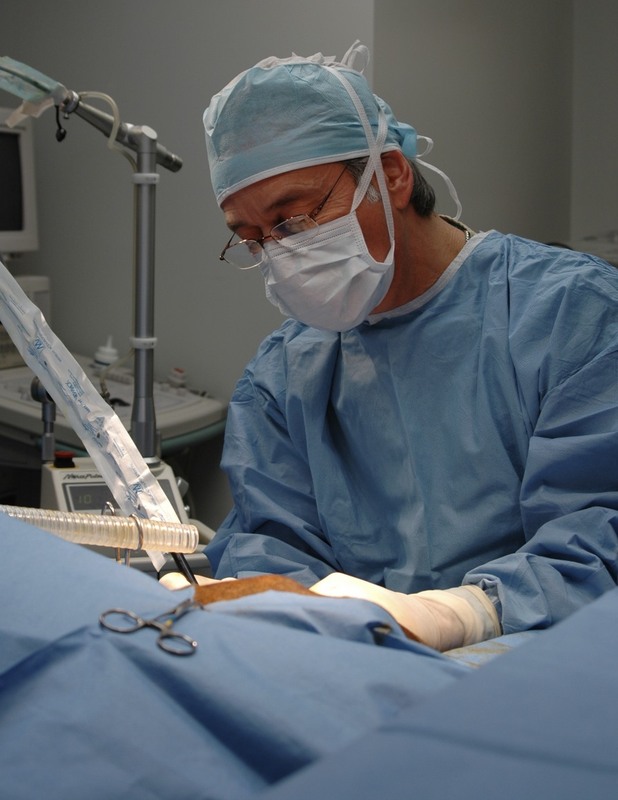 Dr. Cerf has since treated over seventy dogs with this technique and has traveled around the United States describing this technique to other doctors and teaching laser surgery. Dr. Cerf's technique has resulted in some dogs living over 2 ½ years with several dogs still surviving to challenge these numbers. Dr. Cerf said that he feels laser surgery is the future of surgery, pointing out the dramatic advantages of much less or no pain, negligible bleeding and no swelling. Dr. Cerf believes the day will come when a scalpel will be considered a relic to be included in his collection of antique veterinary instruments.